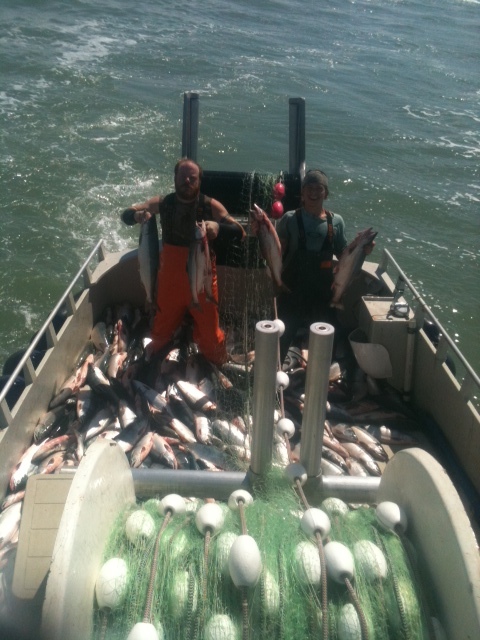 Brock and JP with your Scrumptious Sockeye Salmon! Your fish is moving one step closer to your home as it makes its journey by freezer barge from Bristol Bay, Alaska to Seattle, WA. Fillets are already in transit and beginning to arrive in Seattle. Portions will begin the journey south soon. Prices are being set as we speak. Shipping options are being researched for our new business model this year. 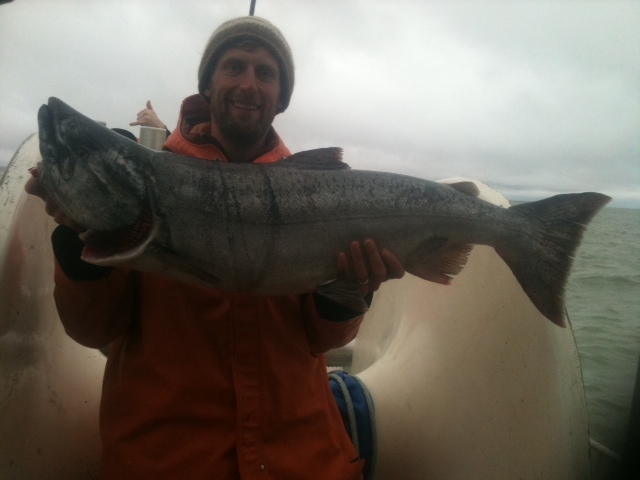 Now that we have an idea of when fish will begin to be available in Seattle we can tell you that shipments will happen in September. We will contact you in the beginning part of August with all pricing and shipping details. Thanks for your patience as we do our best to learn a new game plan in Bristol Bay and do our best to get you top notch fish. Kyle, JP and Brock are all home safe and sound! Kyle and JP returned to Homer, AK a week and a half ago. Brock returned to Twisp, WA a little earlier after straining his arm. 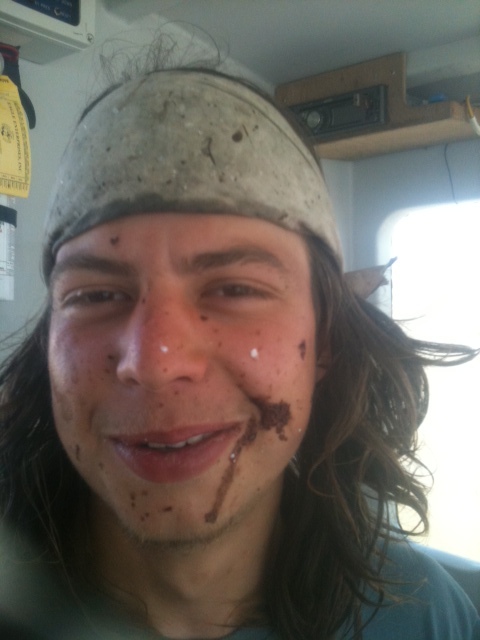 There were still some fish to catch, but being short on crew and exhausted meant that safety was compromised. Also, Kyle already had a great rookie season in a new fishery and was eager to get home to little Maggie and his pregnant wife. 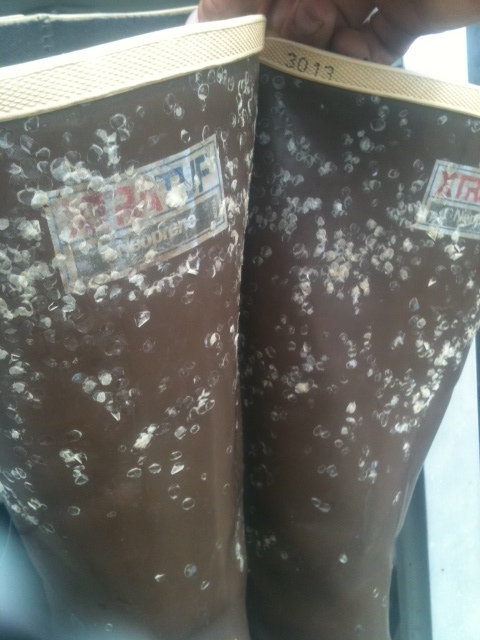 Proof of the many beautiful salmon caught- rubber boots covered in scales. We have some Scrumptious Sockeye Salmon Shares left in portions and a lot of availability left in fillets. Thanks for sending people our way! We will accept new orders through approximately the end of August.